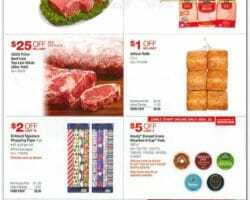 Costco Black Friday Sales 2019. 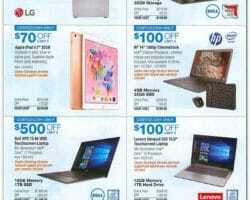 Find Costco Black Friday ad, deals and coupons for jewelry, furniture, electronics, refrigerators, Kirkland Signature. 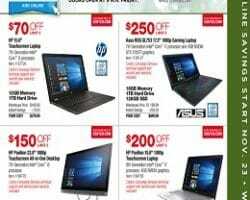 Costco is a membership-only warehouse club that offers everyday low prices for name brand foods and other types of merchandise such as pet products, jewelry, furniture, electronics, fitness equipment, outdoor gear and so much more. The company was founded in 1976 as Price Club and 43 years later rebranded to Costco. Nowadays, the retailer operates over 900 warehouses, each stocking a huge selection of products including bulk foods. 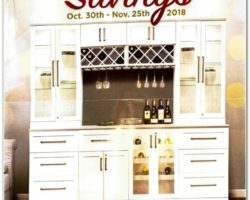 In addition to their low prices, the warehouse retailer offers store brand products under the Kirkland Signature private label. 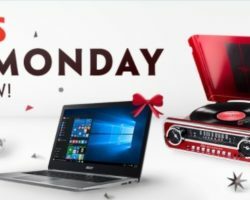 The last year Costco Black Friday Ad featured both in-store only and online only deals in addition to promotions available both in traditional stores as well as in the online shop. The warehouse retailer stores are closed on Thanksgiving Day, with deals having rolled Friday at 9am. 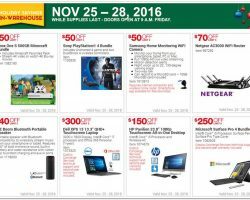 Instant savings of up to $1000 off select merchandise featured for last year’s Costco Black Friday event. 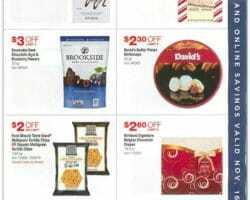 Black Friday deals at Costco are only available to members with the warehouse retailer card.